Dive into the deep sea like a blue sea master - Live every day in blue ocean like it’s shark day! Angry shark simulator game is ready for your entertainment. 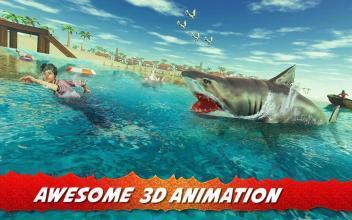 Perform as a ultimate shark family member and eat everything which comes in your way for angry monster shark survival. 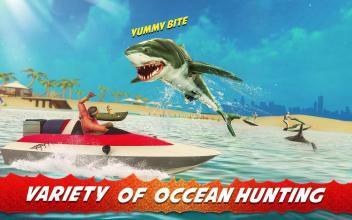 Wild Shark hunting animal simulator game is full of thrilling shark actions. 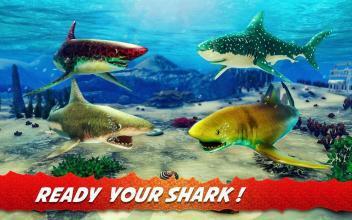 Take control of ultimate shark and get ready for the deep sea ocean attack. Explore beautiful and amazing underwater world as a fish hunting animal shark. Eat people which come to dive in city sea and fill your empty tummy. Ocean sea shark is on mission of eating small fishes and people. 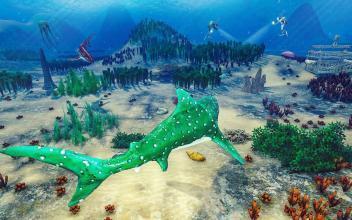 Be a big shark hunting animal with wild animal fish hunter shark simulator game. To win the ultimate shark simulator game, complete all the missions in given time interval. Download giant shark simulator now and get ready for more adventure! Features: -Variety of ocean hunting animals. -3D human characters for angry shark. -Awesome 3D animations. -Stunning and attractive visual HD graphics with realistic physics. -Interactive city sea environment. -Synchronized musical background sounds. -Easy gameplay control.